Blink and you’ll miss it. Literally. Spider-Man: Into the Spider-Verse featured one major Stan Lee cameo and left a lot of Marvel fans welling up in theatres. Following the death of Peter Parker, Miles has decided he was going to try and take over as Spider-Man and who else would it be selling him his first Spidey costume other than Stan Lee himself. Stan says that he misses Spider-Man and that they were friends and the whole thing feels like a poignant goodbye to the godfather of Marvel. 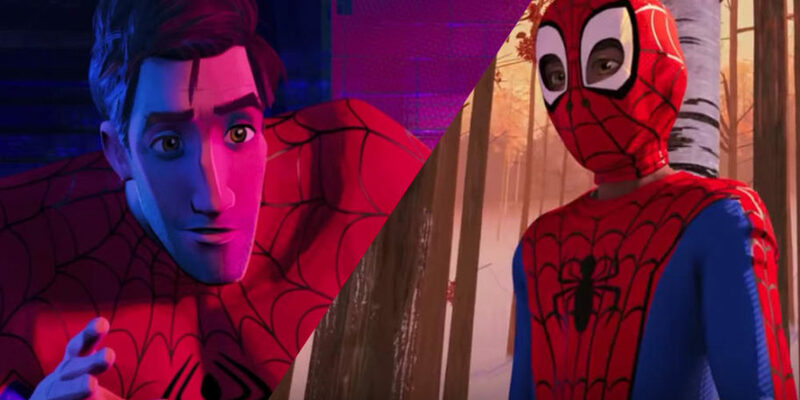 Into the Spider-Verse co-writer Rodney Rothman says that Lee’s lines were delivered in a number of different ways so the scene could have been handled very differently. Finally got to see Spider-Man Into the Spiderverse tonight and it was fantastic! It definitely deserved its Oscar nomination and its Golden Globe win!! #SpidermanintotheSpiderVerse and @TheRealStanLee’s cameo made my day! “The thing that was interesting for us is that it evolved. We recorded it a year ago and it was not that long after his wife [Joan] had passed away. We had versions that tried a little harder to be funnier and tried a little harder to be harder. What ended up in the movie were the lines that had the most meaning to him” Rothman said. Turns out Lee actually crops up again in the animated film and pretty much everyone who watched the movie would definitely have missed the secret cameo. Posting on Twitter, Nick Kondo, one of the film’s animators, revealed Lee’s second appearance. The moment comes towards the end of the film, when Miles Morales has officially suited up as Spider-Man. As the superhero runs along the side of a speeding train, Lee can be seen VERY briefly peering out of the window. Co-director Bob Perschietti has previously said that Lee makes multiple appearances throughout the film. “The easiest to spot, because you don’t have to stop the film, is when Peter and Miles are on the ground on the sidewalk, after they’d fallen from the train, there’s a dog who smells them with a guy who walks over them,” he told Collider. ”That’s Stan again. On his way home from work.